Rust occurs when a metal is exposed to water or moisture. The water compound mixes with the metal to cause oxidation. The result is rust. 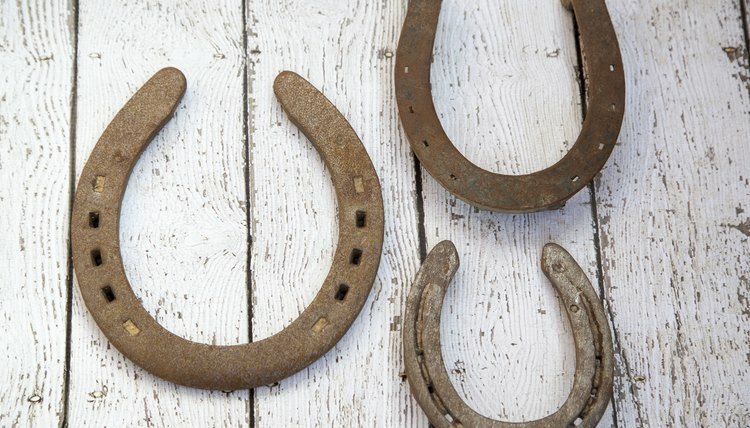 Horseshoes are used to protect the hooves of a horse, but after wear and tear the shoes are discarded and replaced. 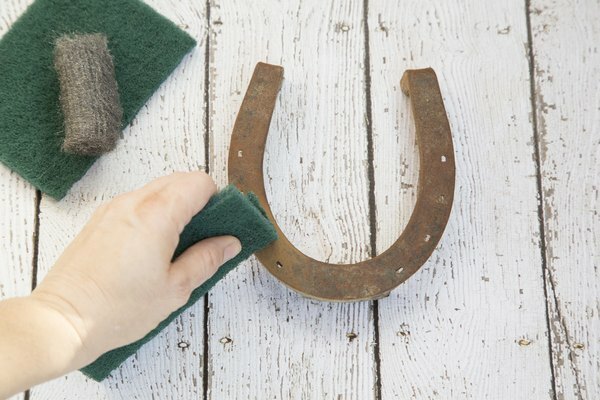 Many people find these old horseshoes and use them for games and for decoration. 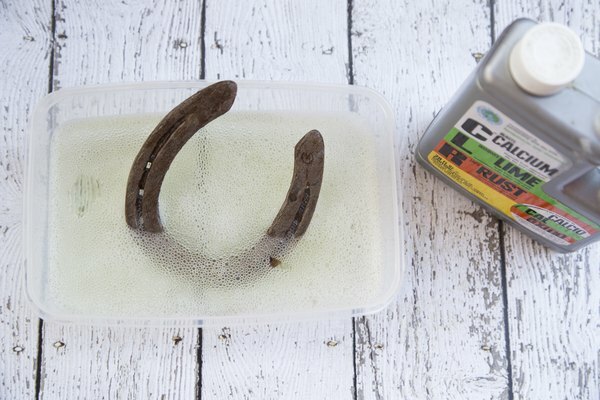 But before these found objects can be used for art projects, the horseshoe has to be cleaned and the rust removed. Scrape off the rust. Some rust on a horseshoe is surface rust. You can remove this rust by using steel wool, a scrubbing pad, wire brush or sand paper. Using these abrasive products with some force or elbow grease will remove a lot of the rust stains. For stubborn rust stains apply mineral oil or knife oil to the rust stains first. Let it soak in for a few minutes and then start scrubbing off the rust. The oil softens the rust and makes it easier to remove. Use home remedies. If scraping off the rust doesn’t work or if areas of rust still remain, one solution is to add an acid to the rust stains. 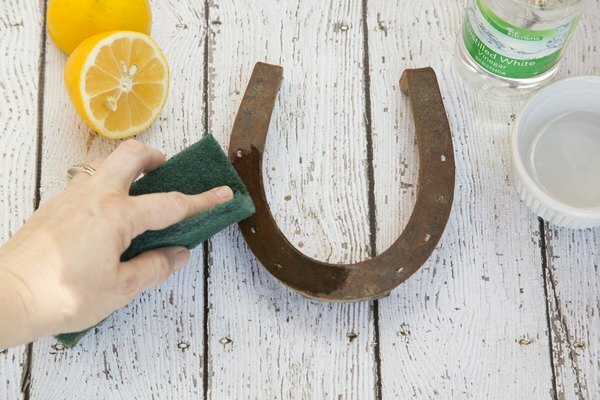 Try using lemon juice or white vinegar for treating rust stains. Lemon juice has citric acid. Vinegar has ascetic acid. Apply one of these solutions to the rust stain and leave it on for about 10 minutes. Then scrub the rusted areas with a steel wool or a scrubbing pad. This process may need to be repeated. Use commercial rust removers. Commercial rust removers are very effective. They use strong acids like hydrofluoric acid and phosphoric acid, both of which are very toxic. When using these types of products be certain to have plenty of ventilation and carefully follow the directions on the label. Products in this category include Iron Out paste, CLR, Lime-A-Way and Sparkle. What Material Is a Horseshoe?